Until very recently there haven't been many large chain groceries located within Detroit. 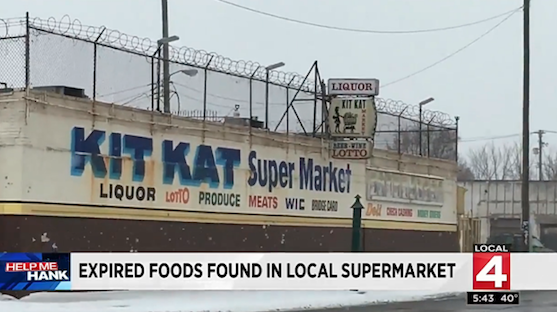 The majority of Detroit liquor stores aka "party stores", food wholesalers, and small to mid size grocery stores happen to be owned by people of Middle Eastern descent. Some of these businessmen and businesswomen have a reputation for a certain disdain for their predominantly black and often impoverished clientele. This distaste can be expressed in any number of ways. I don't live in Detroit any more so there's no reason for me to shop at such stores. Even when I did live in Detroit I rarely shopped at those stores as I was taught never to spend money with people who have nothing but contempt for you. Unfortunately some consumers in Detroit evidently feel that they have no choice but to spend money on inferior goods and services. More's the pity. Disgraceful. The Kit Kat Grocery store on Harper near Van Dyke on Detroit's east side, which has a history of health code violations, sells packaged food with expiration dates as far back as 2015, Hank Winchester of WDIV discovers. Winchester of "Help Me Hank," a consumer advocate feature on WDIV, finds Sister Schubert rolls that expired in April 2015, Jimmy Dean sausage with a use-by date of September 2016 and bologna that expired on Aug. 29, 2017. The hamburger meat had freezer burns. A box of Betty Crocker potatoes was sealed with Scotch tape and had a best if used by date of November 2017. Although the people who are doing this in 2018 in Detroit are most likely to be of Middle Eastern heritage it's important to point out that prior to 1970 or so it was other non-black groups in Detroit who had a local reputation for sharp dealing and cutting corners on safety. Other cities may have different ethnic groups doing the same thing with black and poor customers. In some areas it's probably black store owners ripping off their own people. In short it's not just the individual racism or greed of the store owner which is the problem; it's the larger societal institutional racism. Black people are often penned into poor undesirable areas. Southeast Michigan is one of the nation's most segregated areas. Black citizens often lack capital to allow them to open up their own businesses. Detroit crime is higher than it should be because of joblessness and hopelessness. City services decline because of a lower tax base, which is correlated with the de facto housing segregation. You can't have a super healthy tax base when people shun living in your city, for reasons both good and bad. City and state health inspectors either don't do their jobs or are overwhelmed with the number of problems. Or they just don't care. Business interests make sure that the ability of regulators or prosecutors to seek and win civil cases, let alone criminal ones, regardless of what the law states, is attenuated. People who grow up in areas where there are routine attacks to their sense of self-worth and dignity, may not even have the self-respect and understanding that they do not have to shop at stores that sell them food unfit for animal consumption. It's a truth in life that you teach people how to treat you based on what you tolerate. It's not fair but life is not fair. Business is amoral. 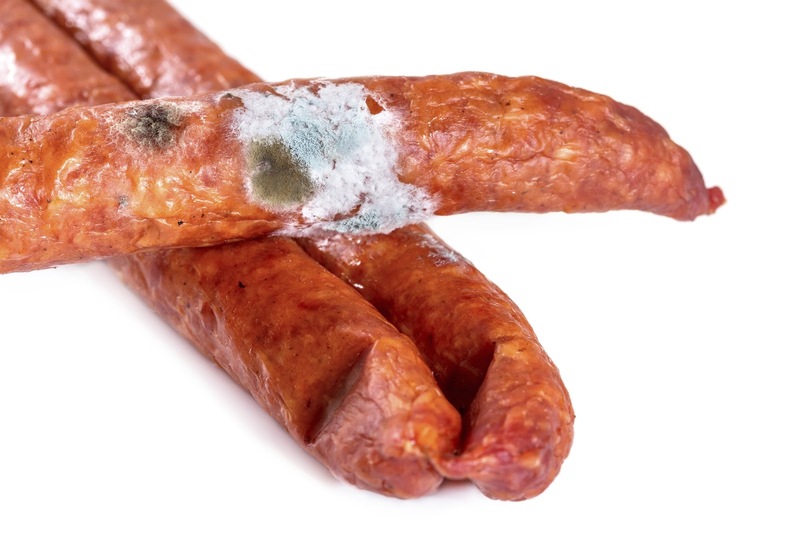 If someone can make money selling moldy meat and rancid cheese then he will do so. A community that suffers from collective low self-esteem, high unemployment, low wages, and low wealth is a prime target for businessmen and businesswomen who feel entitled to behave differently than they would in a market where customers are better informed and have more resources. Store owners facing high insurance premiums and low profit margins have every incentive to reduce costs by any means necessary. That is why it is essential for an educated citizenry and an engaged government to maintain strict limits on what behavior is tolerated and what behavior is not. We should remember that even as some people report on every twist and turn of the Trump Administration and all the games being played by the powerful and well connected that many of the greatest challenges faced by Black citizens and impoverished citizens of all backgrounds were going on long before Trump took office and will likely continue after he leaves. Trump will make things worse with his dedication to looser business regulations and limits on the ability of aggrieved consumers to seek legal relief. But citizens should not get so tuned in to Trump's every pronouncement that they overlook things like hookworm in Alabama, dirty water in Flint and unsafe grocery stores in Detroit. If you are so inclined there is "Resistance" to be carried out right outside your door, not just in Washington D.C.